This is a question I’ve been asked several times. The answer is “no” and here’s why. The cards themselves are inanimate objects, fully incapable of consciously telling a lie to anyone. So, if the cards don’t lie, why are readings sometimes inaccurate? The answer here is the reader is lying, the questioner is doing cards for themselves and seeing what they want to see instead of being objective, or the questioner has chosen a different path or course of action. Your reader is lying or misrepresenting things. Unscrupulous readers who want you to become dependent or are in it just to make money may indeed lie to people they feel they can manipulate in order to extort more money. If your reader ever tells you that “you’ve been cursed” for example, find the nearest exit, walk out the door, never return. Your reader is injecting judgments into the reading. All readers are human, we all form opinions. 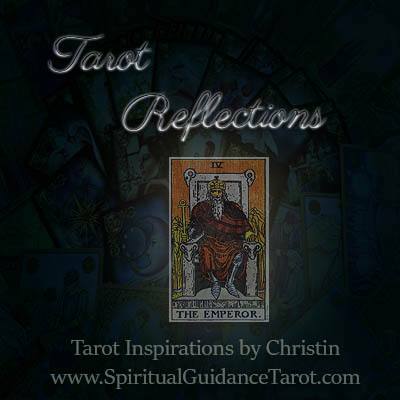 What makes a Tarot reader excellent is understanding that our experiences and opinions are limited and we should not be using them to color our perceptions. We haven’t walked in your shoes; you have. Your experiences, thoughts, feelings are your own to have and your decisions are yours to make. If a reader tells you what you “have to do” – they are not following this premise. We can make suggestions, show possibilities, explore ideas – but your choices should always be your own, and you should feel empowered in your own decisions. This is the most common reason the cards “lie” when people do readings for themselves. I’ve seen many people ask the same questions over and over, but in different ways. They will do this until they hear what they want to hear, or convince themselves that they are seeing the answer they want. In order for Tarot to work; one has to have an open mind, not a rigid stubbornness. If you are feeling defensive during readings, you are not receptive to the messages being offered and should take a break and come back when you are able to be more distant and objective. 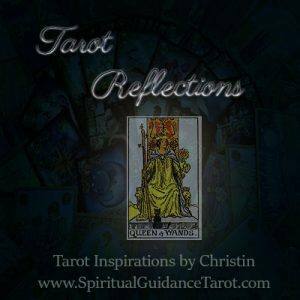 Tarot is there to show possibilities, to illuminate new ideas, show you things you may not be perceiving fully and to help you engage in a well-rounded and meaningful thought process that engages all aspects of your mind. When you approach it with openness and a desire to explore all possibilities it can open many doors. When you use it as a tool to try to reinforce your already established notions, it will frustrate you. It can be easier to blame cards than to accept that our judgment was off. Today’s Tarot lesson is an important one and I love the Emperor card so much for it. There is a difference in life between self-discipline and punishment. Those who reach goals consistently are keenly aware of this difference. Discipline requires effort, but it is an effort that is not burdened by self-defeat, negative self-talk, procrastination due to fear of failure etc. Discipline doesn’t demoralize or talk down – it looks up. It provides incentive. Self-defeat is why many people stop striving to reach their goals. They give up and throw in the towel. Think about it. Weight loss is a good example. Someone who focuses on increasing their health, improving their physical energy etc. is more likely to be successful than someone who obsesses over their appearance and compares themselves to others or unrealistic expectations. Time to be focused and disciplined, take initiative. If you’ve been procrastinating there is a need to get it in gear and take positive, constructive action. Consider your current plans also – are they truly beneficial to you? If so be proactive and if not, perhaps it’s time to find a new direction for your energies. Do unrealistic expectations cause me to lose motivation? Do I have a concrete plan and goals? In what ways can I be more proactive? Do I know the difference between punishment and discipline? Tarot can be a great tool to help anyone gain some focus and to start the day feeling connected and on purpose. When you approach Tarot as a psychological tool for personal growth and reflection; it can be a great motivator to push you forward. It helps you see the greater wisdom that lies beneath daily circumstances. Even if you don’t read Tarot full time or really read them at all; you can still do these exercises. Purchase a deck that speaks to you and use it simply for your morning reflection. You can look at one card readings online and that’s great too – but there is something extra special about connecting with your own deck of cards. Shuffle your cards, clear your mind and focus on a mantra or statement – something like “Share with me the lesson that will help me make the most of this day” or “What do I need to be most aware of today?” Whatever question or mantra you come up with is right for you. The key here is to focus on the now and to open your mind and heart to higher guidance. Once you’ve focused on your questions and shuffled your cards; allow yourself to be drawn to one and flip it over. Look at the image – what is your first initial impression how does it make you feel? This can often be very telling in itself. For example, when I see a Tower – my initial response is usually to wonder what is going to fall apart or what have I maybe not built on a solid foundation. The lightning and collapsing building tend to suggest that I may have to deal with something unexpected and perhaps unwelcome at the time, but if I keep an open mind it will almost always never be as bad as I imagine it. Once you pull your card and get a feel for it initially, look a little deeper. What symbols are present? What colors? What are the characters or objects in the card doing? What does this tell you? Can you relate this to events in your life? Tarot is very flexible in interpretation and anyone can assign their own meaning to their own cards. Daily reflections aren’t so much about “fortune-telling” as they are about clarity of focus and living consciously.